Washington SOS is one of the government offices in the US state of Washington that is held responsible for registering Corporations, Limited Liability Companies, Limited Companies, Limited Partnerships and Limited Liability Partnerships. With this, all the records and information with regards to registry as well as the filing and authorization of all corporates based on Washington is kept into its database. 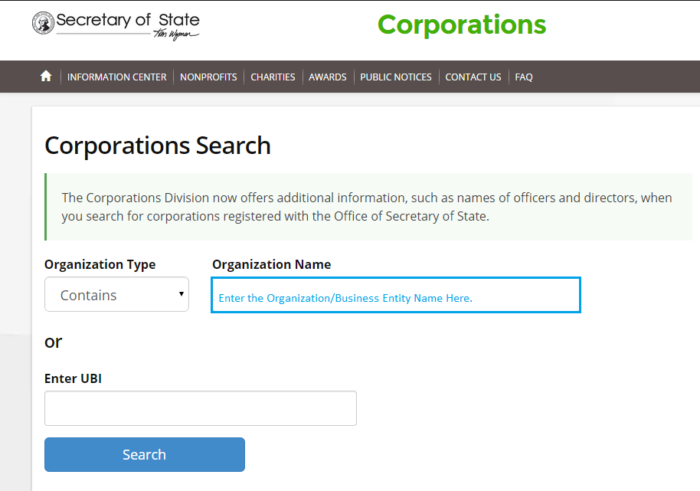 Corporation Search Washington is made easier with the help of an online search tool run by the SOS of the state. This online tool serves as a great medium to search for detailed information of any business entities within the state. This enables anyone to search the database by inputting either the UBI number or the business name. Below are some of the guidelines that will help you make search more accessible. 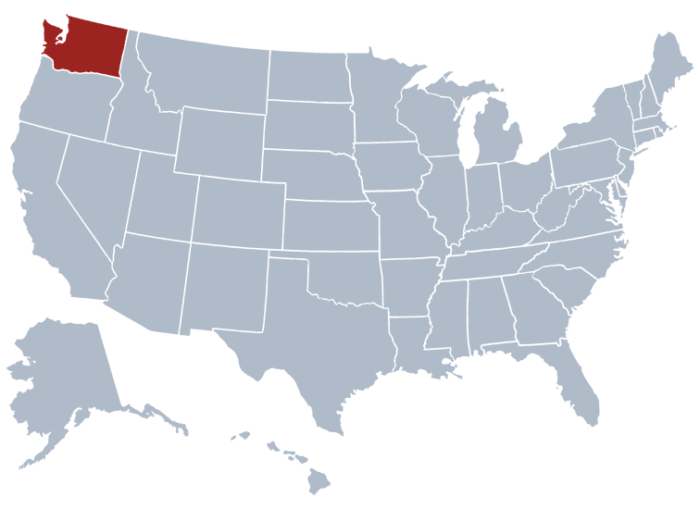 In order to find entities that are based in Washington, you need to navigate towards the search page by clicking here. You can refer below screenshot to have an idea how it looks. Screenshot is shown below. It shows the sample search we made by typing the organization name “Ampeg”. You can also type UBI in the search field instead of the organizations name. In order to see list of entities in the result page, you must click the Search button. Refer to the screenshot below for better understanding. More detailed information about the entity you are searching will begin once you click it. The screenshot provided below will serve as your reference. For the post of Governor in a certain state like Washington, the elected Secretary of state is the next in line for the said post. Its duties are impost under Article III of the Washington constitution. It is the duty of the Secretary of State to authenticate government documents such as commissions and pardon which requires a signature coming from the Governor of the state. The Washington Corporation Search also holds the Great Seal of the state. Other responsibility that comes with such position includes regulating the actions of the executive and legislative branches of the government of the state as well as keeping its archives and public records.